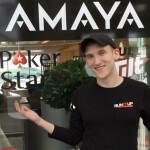 With online poker alive and well in Nevada, Poker Night in America has chosen Nevada as its next destination for filming creative poker broadcasting. The Peppermill Reno Resort Spa Casino in northern Nevada has been selected as PNIA’s second tour stop. The recently-remodeled casino that has been in operation for over 40 years will play host to both high-stakes tournament and cash game action from November 15-24. 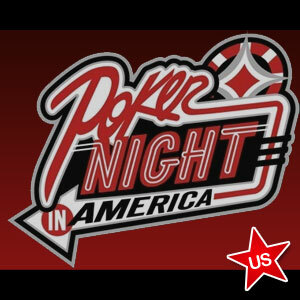 The PNIA production crew will be on hand to capture all the excitement at the poker tables. Specific dates of tourneys and the related buy-ins have yet to be announced, but the Main Event is tentatively scheduled for November 21-24. The $25/$50 No-Limit Hold’em cash game also does not have a date, but what is known is that it will be a two-day affair requiring a bankroll in the $5,000 to $20,000 range. Players wishing to compete in the cash game (with their own bankrolls) can send an email to Nolan Dalla at nolan@pokernight.com for consideration. Talkative and engaging players make for better television, so PNIA is not interested in players who prefer the subtle, silent approach while competing on the felt. In other words, colorful characters are preferred for the invite-only ring game. Poker players and fans alike are anxious to see the broadcasts that PNIA will come up with. The inaugural tour stop took place in August in Verona, New York at the Turning Stone Casino. The $1,650 buy-in Main Event guaranteed a $500,000 prize pool and high-stakes cash action of $25/$50 also was recorded. The airing of broadcasts won’t commence until sometime in early 2014 after the conclusion of four tour stops. What viewers at home are treated to promises to be unlike the typical poker shows that have come to the living rooms of fans in past years. PNIA aims to revolutionize the poker broadcast industry by airing segments that are as much about pro players’ lives off the felt as the goings-on while playing. Gavin Smith, Matt Glantz, Mike Matusow, Layne Flack and Shaun Deeb were some of the pros who competed at the Turning Stone last month. You can count on some of those players to head cross country to Nevada and participate in Poker Night in America Presented by Peppermill Reno, as well. Look for some other familiar faces in the world of high-stakes poker to also be in attendance. A video clip of the action at Turning Stone has been released by PNIA. If the action in Reno and the other future PNIA tour stops is as entertaining as that of the debut, players and fans are in for some hilarious poker broadcasting. Check out the video below and watch as “the Mouth” Matusow gets slow-rolled by Deeb, who managed to flop quad 5’s.